Apache Cassandra is an open source distributed database management system designed to handle large amounts of data across many commodity servers, providing high availability with no single point of failure. Cassandra offers capabilities that relational databases and other NoSQL databases simply cannot match such as: continuous availability, linear scale performance, operational simplicity and easy data distribution across multiple data centers and cloud availability zones. Cassandra’s architecture is responsible for its ability to scale, perform, and offer continuous uptime. Rather than using a legacy master-slave or a manual and difficult-to-maintain shared architecture, Cassandra has a masterless “ring” design that is elegant, easy to setup, and easy to maintain. Let’s see how we are going to install and use it to run a single-node cluster on Ubuntu 16.04. Update our system to latest updates and security patches available before installing other prerequisites and Cassandra, . You can run the command below to get the latest updates. Apache Cassandra is run on top of Java Virtual Machine (JVM). We’ll install Oracle JDK 8 on the system before we install Apache Cassandra. Apache Cassandra can also run on OpenJDK, IBM JVM and Azul Zing JVM. We will install Oracle JDK using the Webupd8 team team PPA repository. First step is to add the webupd8team ppa repository using below command. You need to press enter to continue adding the webupd8team PPA repository. Then update the package database and install JDK 8 by flowing below command. Now install the Oracle JRE package, this will not only installs but also makes it the default JRE. Accept the license agreement when prompted. Then accepting the Oracle Binary Code License Terms by Choosing ‘Yes’ option. No we can start installing Apache Cassandra ,from the official Apache Software Foundation repositories, so start by adding the repo so that the packages are available to the system by adding the repo’s source. Then add the following three public keys from the Apache Software Foundation associated with the package repositories to avoid package signature warnings. Add the second key using below commands. To add third keys run the below commands. After this once again update your system, so that ‘apt-get’ can read the metadata of Cassandra repository. 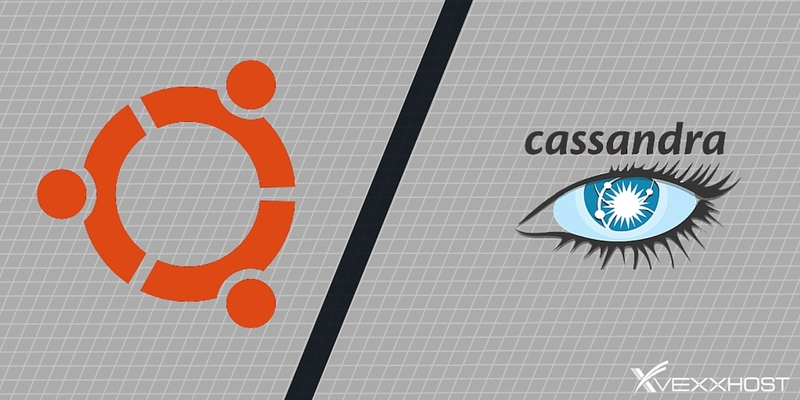 After system updates, now let’s install Cassandra 37x on your Ubuntu 14 LTS. This is the latest stable version of Cassandra. Run the below command to install Cassandra on your Ubuntu system and pres ‘y’ key to continue. Now Cassandra service should be up and running on your system. To confirm that it’s not running, use below command to check its status. If you did not get the running status, then flow the command below in your command line terminal to start its service. Once your Cassandra service is up and running , check the status of the cluster using below command. In the output, UN means it’s Up and Normal. Then connect to it using its interactive command line interface ‘cqlsh’. Let’s try our Cassandra installation by creating a test database. First of all let’s create a keyspace, this is a namespace for tables. The keyspace name below is ‘mydb’. Use the keyspace that we just created. Let’s describe the table that we just created . The table is ready, now you can to add some data in it. Cassandra’s data model offers the convenience of column indexes with the performance of log-structured updates, strong support for denormalization and materialized views, and powerful built-in caching. In this article we learned about installation of Apache Cassandra from its official repository. Now you can start exploring this single node installation of Apache Cassandra after some basic configuration and usage of Apache Cassandra.